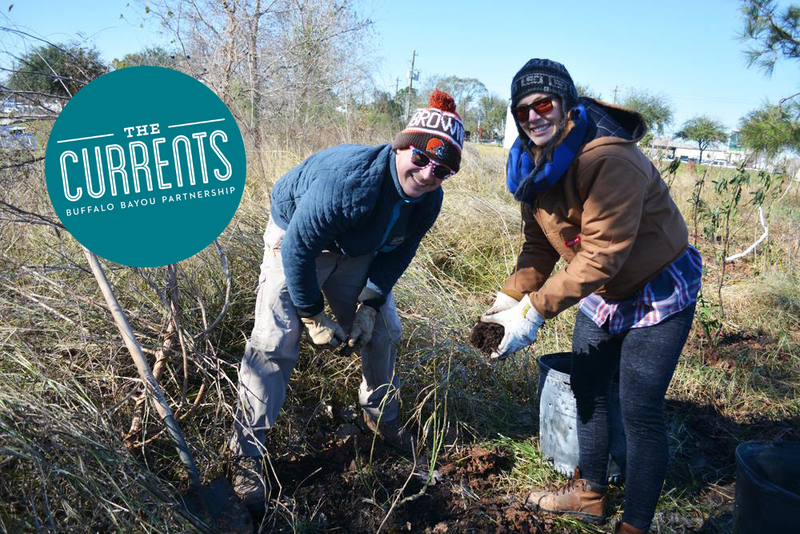 Join young professionals groups The Currents and Trees For Houston’s RedBuds at Buffalo Bend Nature Park, a unique 10-acre park, located near the Port of Houston Turning Basin that features wetland ponds, hike and bike trails, native plantings and an overlook. Offering passive recreation and wildlife conservation, the site serves as a beautiful eastern trail head along Buffalo Bayou. Help plant trees to add to this beautiful urban greenspace and stay afterward for pizza and beer to celebrate your hard work! Gloves and equipment will be provided, however, we do recommend bringing your own water to stay hydrated while working. Due to popularity, this is a members-only event and RSVPs are required. Become a member today and reserve your spot by emailing Jessica McFall. 2300 S/Sgt. Macario Garcia Dr.